We are a top notch supplier of Ship Furniture. We are amongst the most reputed names in the industry, offering Ship Bedroom Bed. Catering Furniture | Pantry Equipment We provide an enormous range of catering and kitchen equipment for marine vessels. These equipments are specially designed keeping in mind the unique conditions on board vessels and to meet various naval and other maritime specifications. We specialize in manufacturing and supplying Marine Office Furniture that are highly appreciated by the clients for its durability, beautiful design, and fine finish and polish. These are fabricated using high grade raw material, which is procured from our reliable vendors. We offer quality two tier birth to fulfill the varied needs in a ship. Made of premium quality wood it is offered at competitive price. We are fabricators and manufacturer of world class Galley stainless steel furniture for ships. These furniture are made from superior quality material and are widely appreciated by the clients due to their quality and rock bottom prices. 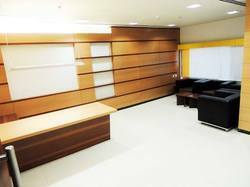 Banking on our enriched industry experience, we are able to supply Ship Furniture. In order to meet excellent quality standards, we are supplying Marine Furniture. We are engaged in offering Ship Furniture.